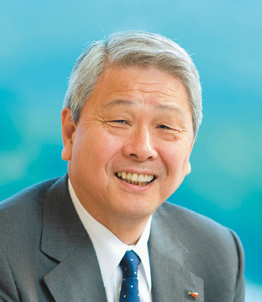 Shinji Yazaki has been President of Yazaki Corporation since 2002. Mr. Yazaki graduated from the International Commerce Department at Hastings Continental College. In July 1968, he began his career in Yazaki Corporation. In March 1972 he was promoted to Managing Director. He was Senior Managing Director from August 1976 to September 1983. He served as Executive Vice President from September 1983 to 2002, when he took over as President. YAZAKI Corporation is an independent automotive component maker founded in Japan in 1941, which is a global leader in the research, development and delivery of vehicle power and data solutions for automotive applications. We produce wire harnesses, power distribution & control products, connectors, driver information systems, sensors and hybrid & electric vehicle products. We have 619 locations in 46 countries with 285,800 employees as of June 2017, capable to provide our products and technologies to the customers all over the world. At the same time, we are able to acquire industrial trends and needs through responding to our customers, moreover we will continue to research future trends and pursue new possibilities so that we can flexibly offer the ideal solution to each customer. YAZAKI is especially proud to be the world's largest manufacturer of wiring harnesses (W/H) which spread throughout the vehicle, supply power and convey data like power and communication data of society’s infrastructure. In addition to W/H, YAZAKI is a global leader in display technologies of Human Machine Interface (HMI). We help the drivers become more connected with their vehicle with our innovative driver information products. Yazaki's instrument clusters, head-up displays and safety warning devices create a better informed and safer driving experience. New generation vehicles, i.e. PHV, EV, FCV, Connected vehicles and Automated vehicles, require sound and advanced features which are being constantly improved. Intelligent electrical systems require highly developed standards and increase the complexity of the system within the vehicles, in addition to downsizing and weight reduction. As a full service supplier, YAZAKI can provide complete Electrical and Electronic Distribution and Display Systems (EEDDS) solutions, supporting the OEM from initial concepts through design and development, global mass production all the way up to after sales-service parts.